CARFAX 1-Owner, ONLY 55,596 Miles! LX trim. REDUCED FROM $8,989! Consumer Guide Best Buy Car, Rear Air, CD Player. READ MORE! Rear Air, CD Player. Chrysler LX with Light Sandstone Metallic exterior and Dk Khaki/Lt Gray interior features a V6 Cylinder Engine with 178 HP at 6400 RPM*. 2.7L DOHC MPI 24-VALVE V6 ENGINE (STD), 4-SPEED AUTOMATIC TRANSMISSION (STD). MP3 Player, Remote Trunk Release, Keyless Entry, Child Safety Locks, Bucket Seats. "Based on a good deal of Mercedes-Benz technology underneath, the Chrysler 300 goes one step further and offers significantly more refinement." -Edmunds.com. Consumer Guide Best Buy Car. 5 Star Driver Front Crash Rating. 5 Star Passenger Front Crash Rating. 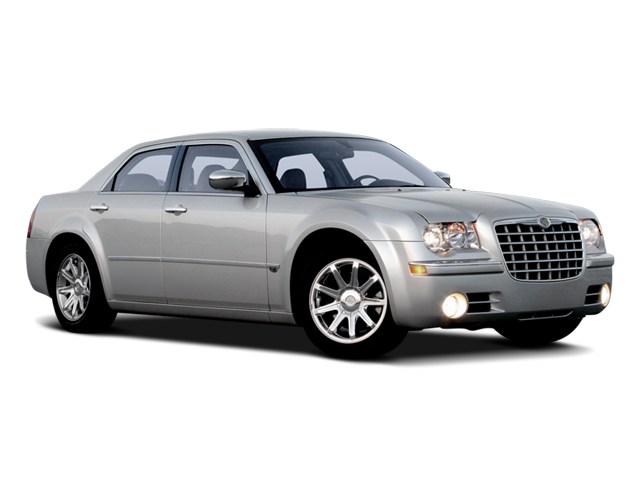 Hello, I would like more information about the 2008 Chrysler 300, stock# VW10521A. Hello, I would like to see more pictures of the 2008 Chrysler 300, stock# VW10521A.